Kingsport, TN (October 16, 2018) – Keep Kingsport Beautiful is one of 42 Keep America Beautiful affiliates to receive an in-kind grant from the 2018 Duracell/Keep America Beautiful 9V Battery Grant Program. KKB is partnering with the Kingsport Fire Department to distribute over 18,000 9V batteries to Kingsport residents on Saturday, October 20 from 9 a.m. – noon at the Kingsport Farmers Market. “Keep Kingsport Beautiful is proud to partner with the Kingsport Fire Department to distribute these batteries to Kingsport citizens who can use them,” said Robin Cleary, director of Keep Kingsport Beautiful. According to the National Fire Protection Association, two-thirds of all fire deaths occur in homes in which smoke detectors either aren’t present or aren’t working. alarms in working order, potentially preventing the loss of lives, property and injury to firefighters,” added Cleary. 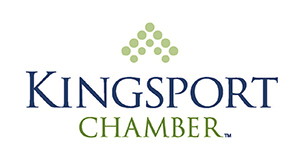 Keep Kingsport Beautiful is a partnership of the Kingsport Chamber and the City of Kingsport. A volunteer supported program An affiliate of Keep America Beautiful and Keep Tennessee Beautiful, the program has won more than 70 national, state and environmental awards. To learn how you can donate or volunteer, visit www.kingsportchamber.org or like us on Facebook. End Littering, Improve Recycling and Beautify America’s Communities. We believe everyone has a right to live in a clean, green and beautiful community, and shares a responsibility to contribute to that vision.